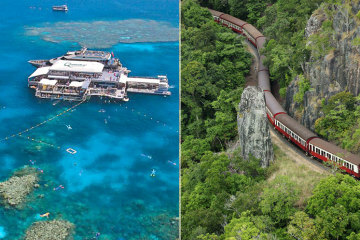 2 DAY REEF & KURANDA Explore 2 Outer reef destinations with all comforts, followed by a rainforest experience to Kuranda Village on the famous Skyrail Cableway and Kuranda Train. 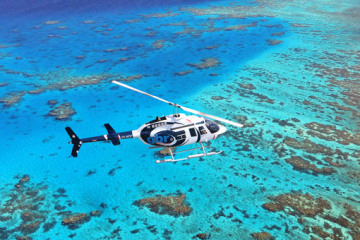 Get High Up Top, Dive Down Under Truly memorable reef experience to outer edge of the Great Barrier Reef. 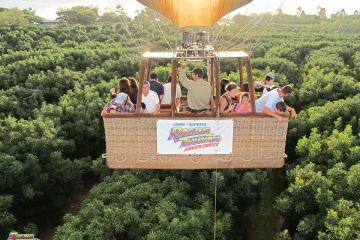 BALLOON, TRAIN & SKYRAIL Magical flight in the world's largest commercial Hot Air Balloon followed by Skyrail, the world's longest gondola cableway, and journey back to Cairns on famous Kuranda Scenic Rail. CAPE TRIB & ROCK ART !! 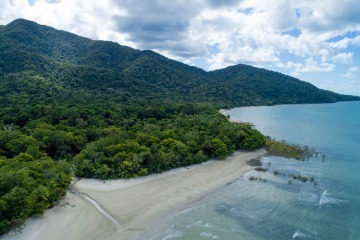 Day 1-Daintree, Cape Tribulation & 4WD Bloomfield Track. Day 2-Chillagoe Caves, Aboriginal Rock Art & Granite Gorge. 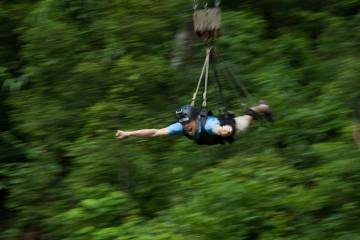 Tropic Wings - Ultimate Kuranda Experience The best way to experience everything Kuranda has to offer in one convenient tour. Make the most out of your Australian Experience!! 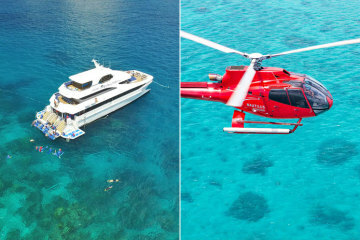 Reef Magic Cruises Back due to popular demand! 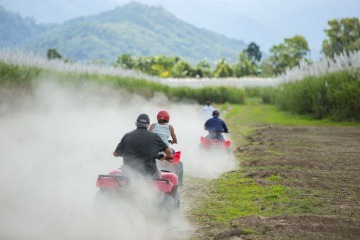 Blazing Saddles Meander through rainforest pockets, mangrove wetland, sugarcane fields and native bush! Barron River Rafting Special Two hours of Rafting on the Barron River. 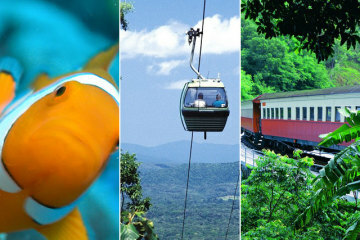 A fun experience in Nature's theme park. 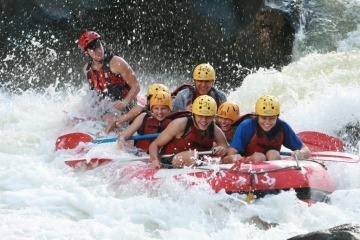 Perfect introduction to White Water Rafting for first timers. 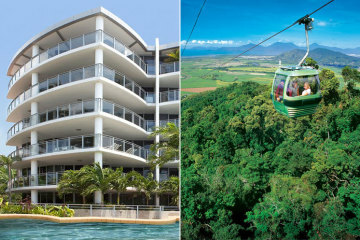 Vision luxury apartments perfectly located on the Cairns Esplanade. 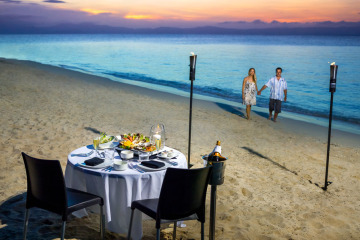 Short stroll along boardwalk to famous Cairns Swimming Lagoon, Restaurants & Marina. 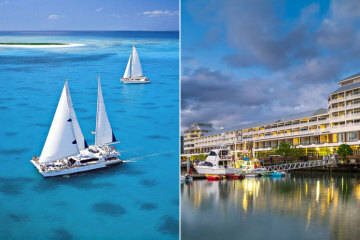 4 Night Tropical Indulgence offers a complete city experience with a 5 star sailing daytrip to Michaelmas Cay including bubbly, cheese & crackers on the way home. 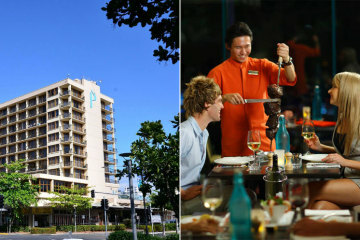 Pacific Hotel Cairns Spacious and elegant rooms with private balconies, most with views over Marlin Marina, Trinity Inlet and park lands. 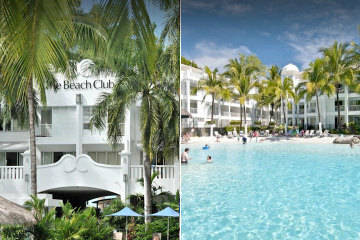 The Beach Club, Palm Cove is situated on the beachfront in the heart of Palm Cove. These are privately managed by Boutique Collection. All ages will love the award winning lagoon pool. 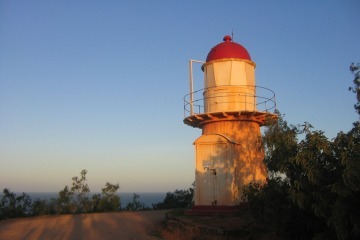 In the heart of Palm Cove restaurants and village shopping. 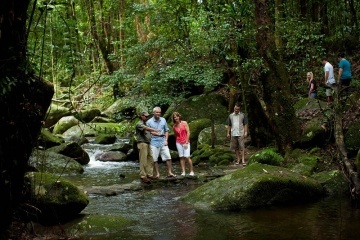 Daintree Walkabout takes you through ancient rainforests and back to the Dreamtime with the local Kuku Yalanji tribe. 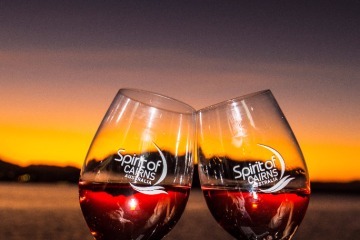 Dine at Silky Oaks Lodge, then cruise the Daintree River and spot a crocodile, enjoy tropical fruit tastings and spend time in the historical town of Port Douglas.